Owning a pond vacuum cleaner is a necessity in case you own a pond at home. There are some pond vacuum models that have been designed in such a way that you can multitask, using them for household tasks, the pond, and even the swimming pool. In case you need to sustainably keep a clean pond, you must own a pond vacuum cleaner. There are a lot of debris, dirt, leaves and sludge gathering near your pond that finds their way inside. The light ones float over the pond but the heavy ones will settle to the bottom. Whether your pond is in use or not, this is a natural process, and you will need to get a good quality pond vacuum to help you keep the pond clean and the life in it sustainable for your plants and animals.There are pond vacuums for different types of ponds, from fishponds to green ponds, small and large ponds as well . How do you choose between two pond vacuums and make sure you are taking the best of them home? This is an issue that most people struggle with. It gets worse when you have not just two, but a choice to make between so many models available in the market. It is important to choose a reputable brand for your pond vacuum cleaner, and for a good reason. Most of the popular brands offer you better performance and quality when compared with the substandard models available at a cheaper price. While shopping around for a pond vacuum, make sure you know whether you need a wet or dry cleaner. Choosing a device that offers both performance capabilities is better, even though it might cost you more. This is not something that most people think about often, but in light of your energy bills, it is worth looking into. How much energy the pond vacuum consumes should give you an idea of how much more it will cost you to run, on a daily basis, monthly or annually. You should know not just how much the pond vacuum costs, but also how much it will cost you to run and maintain. Debris in the pond is available in different sizes. In case you have trees close to your pond and leaves falling in from time to time, you will need a different type of pond vacuum as compared to someone whose main problem is a muck layer in their pond. This also depends on the location of your pond, helping you understand what the common type of debris you deal with is. This is another important but not so common feature that most people look at. Most of the vacuums you come across usually discharge the water into your yard instead of returning it back into the pond. See how this comes in handy here? If you have a pond vacuum that has a water return valve, it will clean and filter the water then pumps it out into your pond. There are limits to the depth at which each pond vacuum can efficiently perform. The length of the hose will offer additional support, but even with the additional length, the power of the pond vacuum might not offer the suction power you need. The deeper the vacuum is in the water, the stronger the suction power should be. To be on the safe side, buy a pond vacuum that can reach the bottom of your pond. Assuming your pond is 7 feet deep, buying a vacuum that can reach 4 feet would be a waste of money. The good thing about variety in the market for pond vacuums is that the wide selection is available. 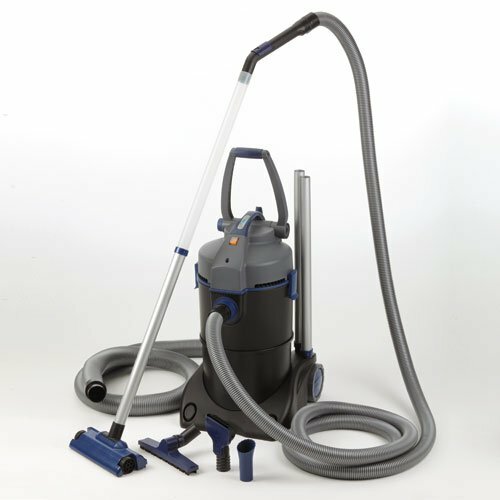 Vacuums are generally made to work within a given pond size range. It is physically impossible for your vacuum to clean every other pond. For a large pond, you would need a powerful vacuum than someone with a smaller pond. If you have a small pond, a powerful vacuum might be more than effective, but it might also give you a hard time with control. The suction can be strong or weak depending on the type of vacuum you are buying. Single chamber suctions are generally weaker than dual chamber vacuums, though this is not always the case across the board. 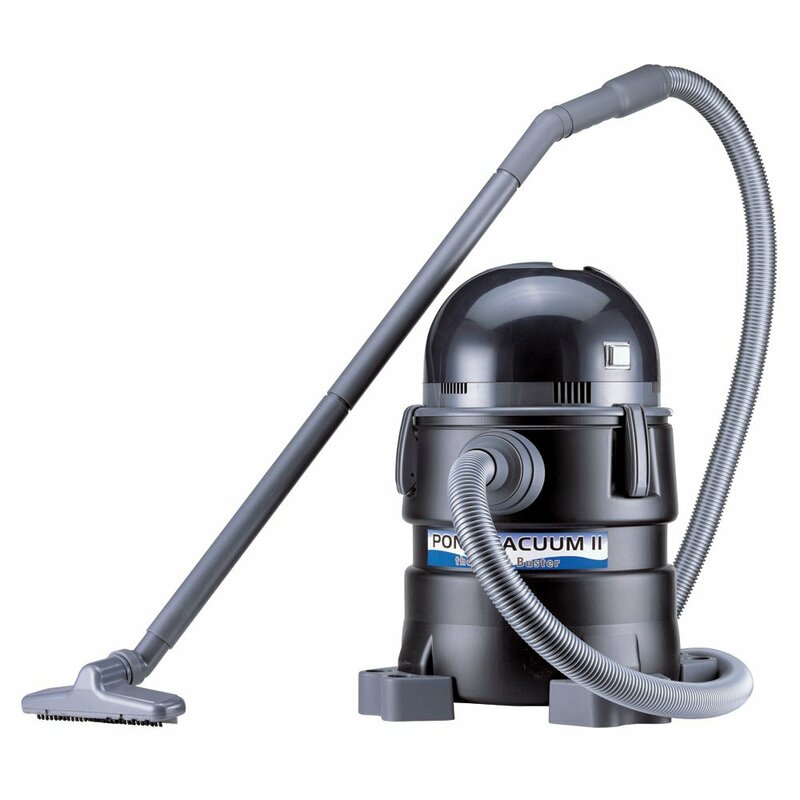 When choosing the type of vacuum, remember that what you choose will affect how you clean the pond. With a pond vacuum, you do not have to remove your plants and/or fish from the pond. Most of the vacuums can actually be used without disturbing your plants or animals. There will, of course, be a little interference, given the physical impact of the vacuum in the water, but in the long run, your work is done faster, with less effort. Compared to cleaning the pond by hand, honestly, it will be better to clean your pond with a vacuum. It is faster and will do a better job than cleaning by hand . A pond vacuum also makes your work easier when you need to remove the muck from the pond than using your hands. Picture a situation where you are unable to clean the pond on your own because maybe you do not know how. You have to pay someone to come in and clean it by hand. However, when you purchase a pond vacuum, you will no longer have to do this. You will save a lot of money because you can now clean the pond on your own. One of the main reasons why most people choose to upgrade from cleaning their ponds by hand to using a pond vacuum cleaner is to reduce the tedious and long process of pond cleaning. It becomes one of the easiest and fastest ways for you to clean the pond. Depending on the capacity of the vacuum’s strength, you can get this done in a matter of minutes. To clean your pond, using pond filters is an excellent way of removing debris from the water column, especially those that are suspended over the water column. However, not all the filters can remove the debris the way you need. Some of the debris will accumulate at the bottom of the pond, and interfere with the quality of water and the pond aesthetics. A pond vacuum will, therefore, help you solve it by removing the waste that filtration was not able to. It is an affordable handheld water vacuum, which is ideal for someone who is on a budget. One of the benefits of using it is that it is lightweight and you do not have to worry about water hook-up. Though small, it picks up debris, marbles from the pond properly. Does not need electricity to power. Only works well with solid bottom ponds. Not ideal for a pond with fish. Discharge chamber fills up very fast. In case money is not a factor in your decision-making process, this is perfect for your pond. It is also ideal for huge ponds, removing all kinds of dirt and debris from the pond. Being a dual-pump system, it can work for longer hours. Comfortably stores 13 gallons of water. Quite huge; you will need a good storage facility for it. This pond vacuum is widely referred to as the Muck Buster. It is designed to help you efficiently get rid of algae, sludge, dead plants, leaves and pebbles from the pond. It is very fast and will reduce the amount of time you spend cleaning the pond. Clean and easy to reuse filter bag. Qualitative components for its powerful 2 HP motor. An adjustable floor nozzle and a powerful suction horse. Mesh bag to trap bigger debris. Available within a reasonable price range. Automatic draining reduces your work. The drain hose keeps falling off. You need additional pressure to open the check valve, which is only one-way. Sluggish in picking up leaves off the pond. 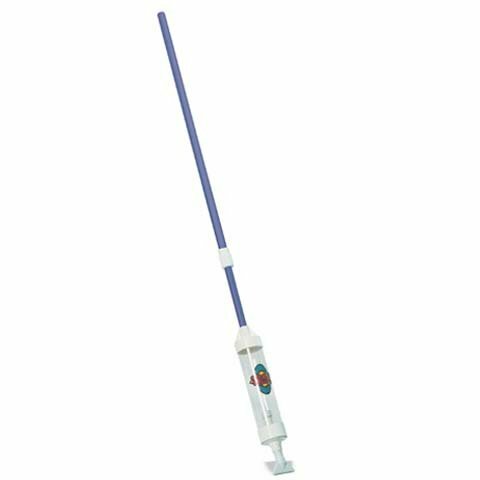 In case you have used the classic PondoVac cleaner, you will definitely want to try your hands on this one. It offers better performance, thanks to the 4 dual chamber suction. Its force is stronger and picks up more debris faster. Impressive performance thanks to the 4 dual chamber design. Most people have complained about the user manual being complex. 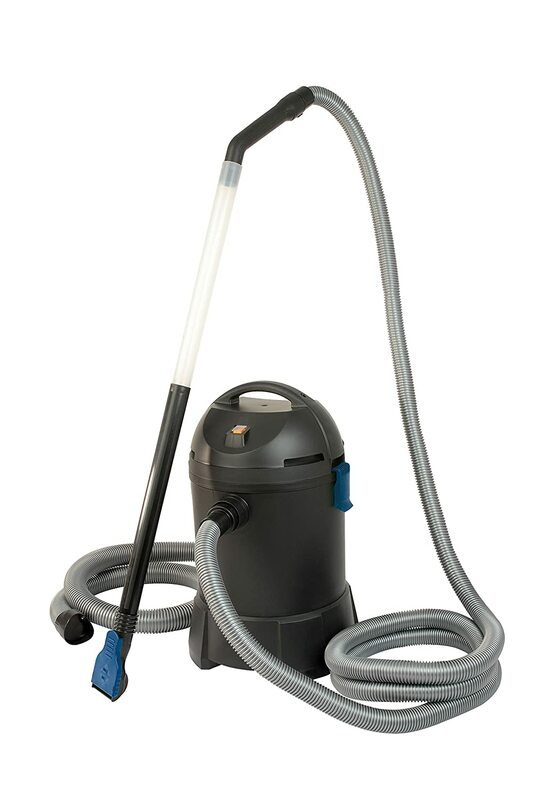 This is an incredibly powerful pond vacuum that has been in the industry for years. 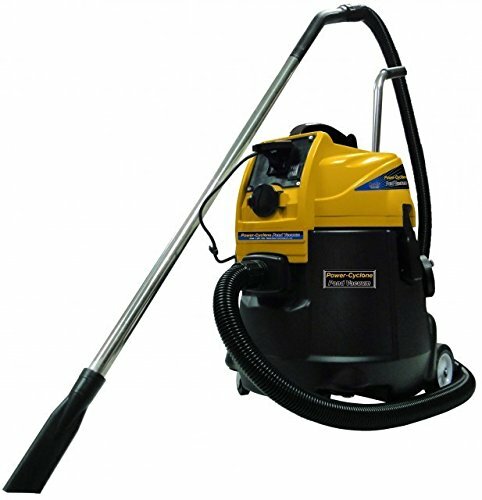 It is your go-to pond vacuum cleaner in the event that you are looking for a pond cleaner that will remove significant sludge and debris deposits from your pond. Energy efficient, consuming minimum energy to deliver maximum power. Noise reduction feature to keep the sound low. Multipurpose cleaner, for the household, your swimming pool, and the pond. Automatically shuts down the motor if the collection tank is filled up, and resumes work automatically when the tank has been emptied. 4 nozzles for efficient suction performance. Very easy to clean and install. Integrated handle for easy handling. Small filter bag, which might not be efficient for a lot of people. Leakage in the discharge bags from repeat usage is common. Automatically shuts down immediately the tank is filled, and you must empty the tank to reuse it. This can be a bother when your pond is so dirty. In case you are unaware of what you are looking for, going through a review of some of the best pond vacuums can be a big problem for you. Hopefully, you found this review useful and helped you make a wise decision. Before you choose any pond vacuum, make sure you understand the features you would need it to have. This comes down to what works well for you. It would be pointless buying one of the best vacuum ponds in the market, but not being able to maximize utmost utility from its use. You also have to consider the type of pond you have at home. If you are looking to spend once on a vacuum cleaner that you can use for different purposes, OASE PondoVac is what you need. On the other hand, in case you need a powerful, strong and reliable vacuum without breaking the bank Matala Pond Vacuum would be ideal. Finally, always ensure you work on your budget. Be on the lookout for incredible offers and discount stores too. You might come across a bargain that would be worth your attention.